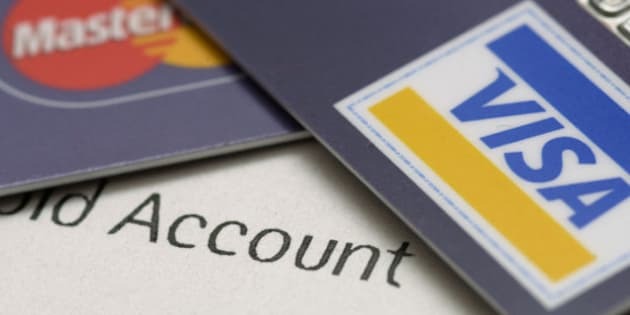 TORONTO -- Record high Canadian household debt levels will factor into how the economy shapes up in 2012, leading to a slowdown in consumer spending or further tightening of mortgage rules, leading bank economists predict. Economists from Canada’s five big bank economists have suggested two possible outcomes of the growing household debt burden. Speaking after an annual panel discussion at the Economic Club of Canada Thursday, TD Bank economist Craig Alexander said there is evidence to suggest that consumers are beginning to exercise restraint, despite the bargain basement interest rates -- which most economists expect to stay in place until 2013 -- that are meant to spur consumer spending in tough times. CIBC World Markets economist Avery Shenfeld echoed this sentiment. But predicting consumer behaviour in a prolonged low interest rate environment is at best a guess. Particularly in the area of mortgage debt, which already accounts for 70 per cent of household debt, consumers may very well opt to plunge further into the red. If that happens, says BMO Capital Markets economist Doug Porter, house prices may very well push even higher, despite the belief of some that a significant correction is imminent. The International Monetary Fund in December cited household debt and an over-heated housing market as significant risks to the Canadian economy. In the third quarter, the household debt-to-income ratio surpassed 153 per cent -- a new high. All of which explains why higher prices -- and debt -- would likely trigger a policy response in Ottawa, Alexander predicts. “If we see the housing market surprise on the upside and debt growth surprise on the upside, then the government will likely take action to further tighten mortgage insurance rules,” he said. The most probable reaction, he says, would be to drop the maximum period for a government-insured mortgage from 30 to 25 years. “Quite frankly, if you can’t afford a mortgage at 25 years versus 30, then you probably shouldn’t be buying a house in the first place,” he said.